Hard drives are one of the most popular storage devices that most people use. 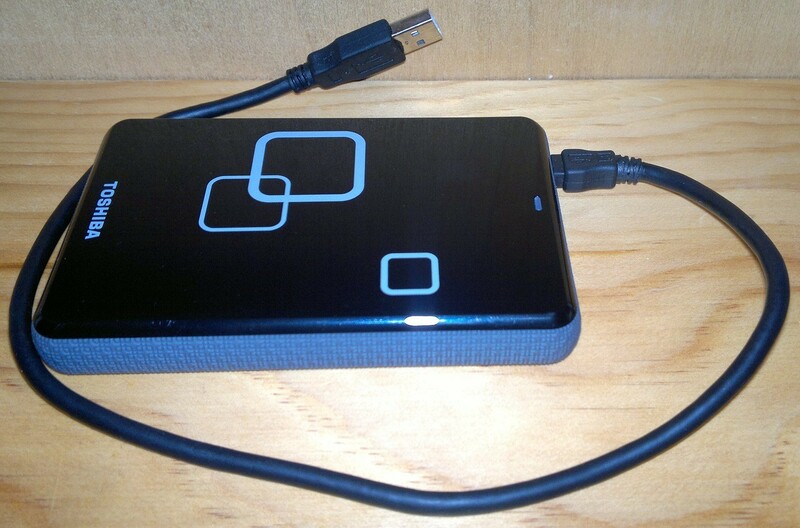 Many use it as an additional back-up drive for important files. Since this is used for back-up, you would want to make sure that the hard drive will live up to standards and protect your files at all cost. With many choices in the market, which one should you choose? Following these considerations, you can select the right hard drive for your personal use. Size is one thing that you need to consider when choosing a hard drive for your personal use. Hard drives usually come in two sizes: 3.5-inch drive and the 2.5-inch drive. Often, the size of the hard drive depends on its capacity. With more capacity, you will need more spinning metal disks on your drive, which means thicker hard drives. Because of this, a hard drive with a maximum capacity of 12TB tends to be 3.5 inches. While a hard drive with a maximum capacity of 4TB tends to be 2.5 inches. So, try to buy a hard drive depending on the capacity you want, and this will also affect the size of your hard drive. Storage capacity – The first specification that you should look out for is storage capacity. Hard drives can range from 500GB to 16TB. The storage capacity you’ll get depends on your use. For example, if you have tons of data you want to store ranging from movies to high definition travel photos, you might need to get the 16TB hard drive. However, if you’ll just be backing up a few files, then a 1TB hard drive will do. You can also back-up your files in the cloud if you opt to buy a 1TB hard drive. Transfer speed – The speed for transfer of data of a hard drive will depend on its RPM (or revolutions per minute). A hard drive with a higher RPM will mean faster data transfer from your computer or laptop to your hard drive. Hard drives usually come in 4200, 5400, 7200, or 10,000 RPM. On average, you’ll find most hard drives running at 5,400 RPM. A particularly good and fast RPM is around 7,200. On the other hand, a 10,000 RPM will only be of use to you if you need the hard drive for gaming. So, check these specifications when choosing a hard drive. Failure rate – Hard drives have their own particular wear and tear over a period of time. However, not all kinds of hard drives depreciate at the same rate. Depending on the model, some models fail within 12 months, and some will last you 12 years. Finding out the failure rate of the model you’re looking at should be part of your research on your end prior to making a purchase. When you’re choosing a hard drive, you’ll run into different models with wide ranges of prices. Depending on your need and the features it possesses, you can make a cost-benefit assessment on the hard drive. A basic way to determine the value for money on your hard drive is to get the price-per-gigabyte by dividing the hard drive’s price by its storage capacity. Some of the best hard drives in the market are from Toshiba, Hitachi, Samsung, and Seagate. Choosing a hard drive from these brands will ensure your reliability and security. Because they have also been in the market for a while, these brands are experienced and have a long lifespan. However, to narrow things down, you can also research some expert reviews online to weigh the pros and cons of each brand. You may also ask your friends or relatives who have previous experience with those hard drive brands. Now you know the considerations to ponder on when choosing a hard drive for your personal use. As always, research is key to evaluating which products are the best. Be familiar with the types of hard drives and compare them all using the considerations above, and you’ll be well on your way to having an excellent hard drive within your reach. Size is a big factor Robin. I work off of a laptop again – Chromebook not working with connection here – so I see how hard drive size plays a big role in picking one for your needs. When It comes Chromebook or related OS, you need to have an external hard for sure.